It’s sibling rivalry, chef-style! On the line? A prize of $10,000 and household bragging rights. 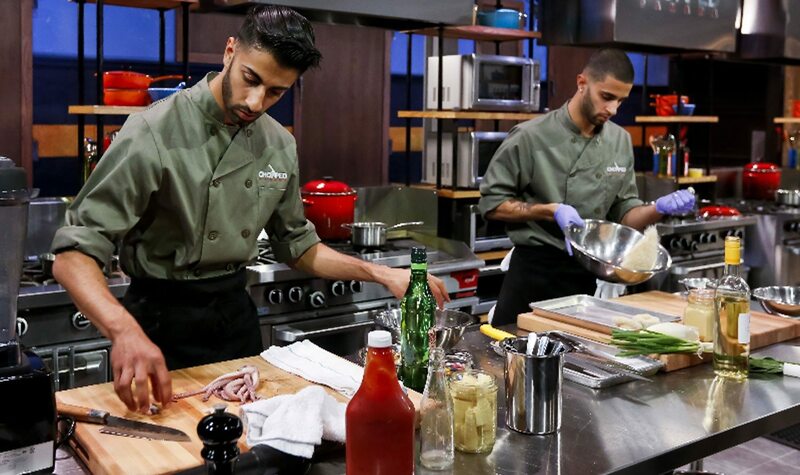 The Kanata-raised brothers — Bijou and Imrun Texeira — were already well on their way to making names for themselves when they signed on to Season 3 of Chopped Canada. 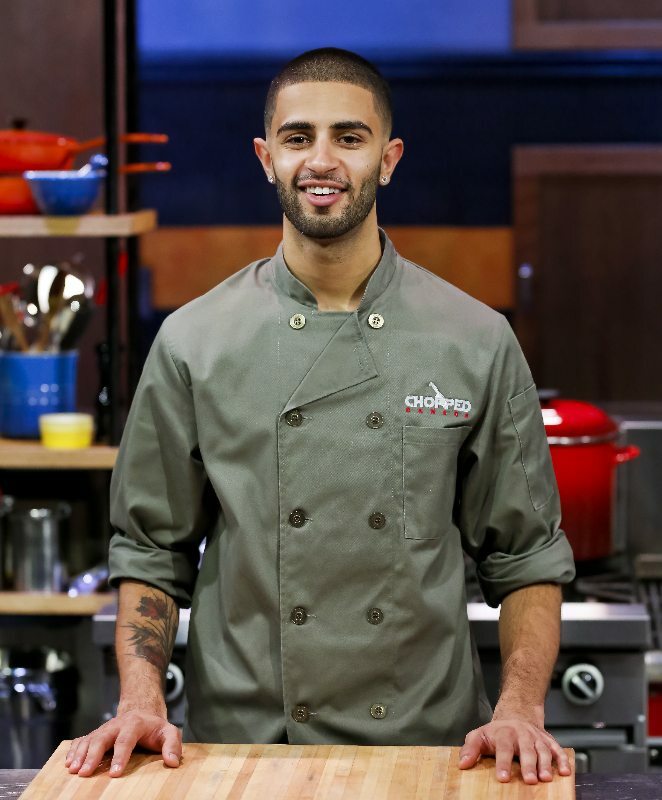 Indeed, Imrun, who was working at Navarra when co-workers told him about the contestant search, says he was initially reluctant to appear on a television cooking show. That is, until Bijou, who was working at Social with Kyrn Stein, persuaded him that it would be both fun and a great way to showcase their talents. The jet-setting brothers (Bijou is currently working in Australia, while Imrun staged his way around the UK before returning to Ottawa three weeks ago to begin a gig with Marc Lepine at Atelier) take on another pair of chef-brothers from Red Deer, Alberta. Only one of the four chefs can take home the cash. And though they can’t give away who won, Bijou says he can disclose that cooking on TV for the judges was even more stressful than being in a restaurant kitchen. The brothers take on their opponents Saturday, March 26 at 9 p.m.
Was it tough competing against each other? Bijou: It was actually the same as competing against any great cook. As soon as the competition starts, it’s every chef for themselves. Imrun: Growing up together, playing the same sports, having more or less the same interests, and working in the same industry, Bijou and I are destined to be competitive against each other. I started my culinary career working in many of the same establishments as him. 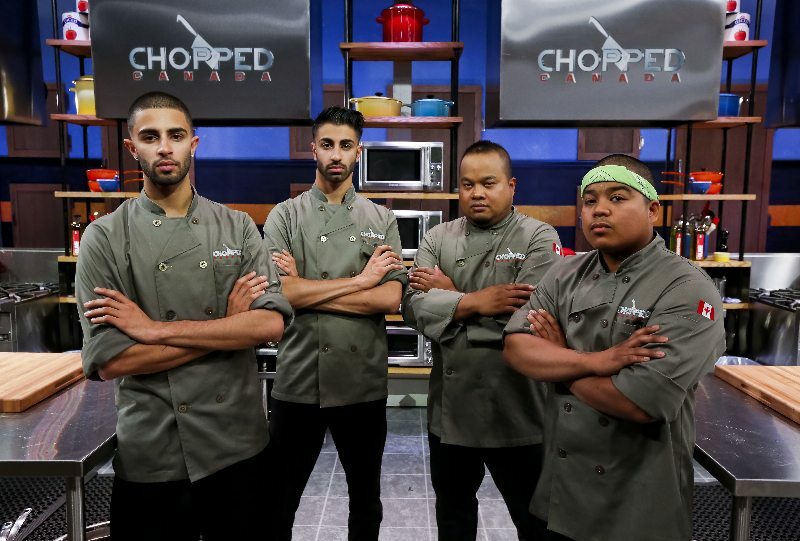 Was competing on Chopped Canada more or less stressful than working in a restaurant kitchen? Imrun: For me it was more stressful than a normal day in the kitchen. You’re cooking for three highly regarded chef-judges who are watching your every move. And you’re competing for $10,000! To add to the rush, we are presented with a mystery basket containing four ingredients. The challenge is to incorporate these diverse ingredients into an appetizing dish on a very tight deadline. Bijou: Agreed. It was much more stressful. I found it very daunting to perform for national television in front of 20 cameras — and I knew that all my friends and family would see it. You’re both chefs. Are your parents involved in the business or did you just both grow up to love this line of work? Imrun: Not at all. We grew up with a single mother who is a full-time paralegal; she was always working to provide for our family. I would cook and care for my siblings. Maybe because I was in the kitchen at home from a young age, I was destined for this industry from childhood. 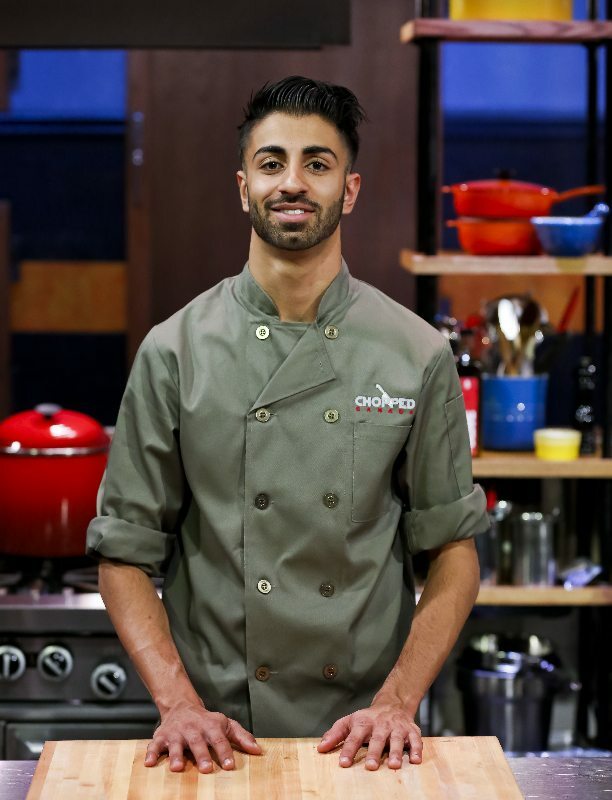 Kanata’s Imrun Texeira, who takes on his chef-brother Bijou on the March 26 episode of Chopped Canada, is currently working at Atelier. Bijou, where did you get your start? The Lone Star Texas Grill in Kanata. I started out as a dishwasher and eventually worked my way to calling the line. All of my training has come from on the job experience, as well as reading books and researching cooking methods, techniques, and flavours online. To this day, I use skills I gained in places like Jack Astor’s as well as what I learned at Michelin Star kitchens in the UK. Imrun, you trained at Algonquin College? When I talked with the chefs I worked with, they advised that if I wanted a legitimate career in this industry then culinary school would be an asset. I signed up as an apprentice chef at the age of 16 while working at The Brookstreet Hotel in high school. When I graduated, I enrolled in the Culinary Apprenticeship Program at Algonquin College [class of 2014]. It was a fantastic program that helped solidify the basic skills I had already attained. It gave me the knowledge, network, and confidence to move forward in the industry. Imrun: Atelier! I returned from the UK on Feb. 24 and started working with Chef Marc Lepine on March 1. I interned at Atelier while I was in culinary school and it has been a dream to work with him for a while. Before that, I was travelling around the UK, staging at some top-rated restaurants to gain more insight into Michelin Star restaurants. I worked at Adam’s [Birmingham, one Michelin Star], Chapter One [Orpington, one Michelin Star], and Hibiscus [London, two Michelin Stars]. My dream from a young age was to have a career where I can work doing what I love and travel while doing so. So I guess you can say I’m living the dream. Bijou: I am currently a chef at Bennelong by Peter Gilmore, a two-Hat rated restaurant in the Sydney Opera House [the hat is the Australian equivalent of a Michelin star]. It’s a fine dining restaurant that serves food using ingredients native to Australia, employing both classical and new techniques. Since the restaurant opened in the summer of 2015, we’ve had a number of famous visitors, including Chef René Redzepi of Noma, Brazilian soccer star Kaká, and actor Harrison Ford.